The accounts receivable (A/R) portion of the revenue cycle is where the money is. Most of the big charges are paid by the insurance company. Without paid bills the lights cannot stay on, surgeons do not get paid, and people do not receive adequate medical attention. For the most accurate and efficient A/R processing, follow our strategies to optimize it in the revenue cycle process. Medical billing is the bane of many providers’ practices. Doctors may perform an initial evaluation, get to the heart of what ails a patient, and then provide proper treatment. However, they may not like taking the additional time to input the information into the EMR which leads to late codes, late charges, and time lost with a delay in the A/R stage of payment. One of the biggest obstacles to an efficient cycle is the patient themselves. Educate your patients on what their co-pay deductible and coinsurance is and how close they are to hitting any caps for services. Collect the patient responsibility at the time of service as opposed to sending a bill. Discussing payment before services have been rendered is the perfect way to open the door for a conversation about where the patient stands in their own insurance cycle. Use your billing system and clearing house to the fullest and sync up the data that you receive on billing with that of payment. Why is there a lag in the A/R stage of the revenue cycle? Is it that providers are not entering billing, codes, or service times accurately? Is a certain provider always falling behind the rest in getting a payment to you? 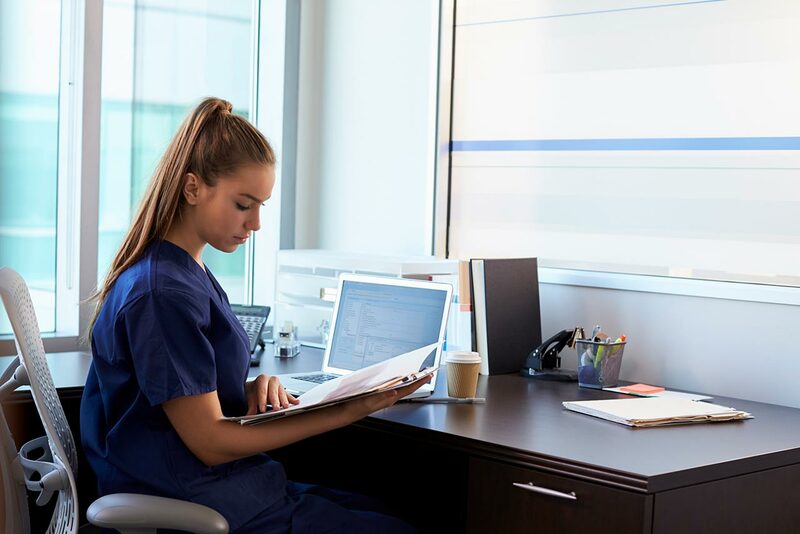 Internet-based medical billing can help make the A/R portion of the revenue cycle more efficient thanks to the connection between software and services. Flag the insurance carriers who have not paid timely and narrow it down to see who or what is standing in your way. Whether there is an issue with a great doctor who may be in need of a scribe to complete daily operative notes or with an insurance carrier company who always delays the return of payment, this problem can be addressed with data to be cleared up. A key metric that measures the efficiency of your system is analyzing the length of time that a bill sits in the A/R stage of the revenue cycle. A well-run office will tell you that bills should never exceed 30 days in the A/R stage. If you can reduce the time spent in this part of the revenue cycle, you will be in great shape. Think about it: for each day you shorten the time it takes for the bill to be paid, you are one day closer to higher fiscal records, better pay for employees, and benefits for all. It is important to get staff involved and invested in timely charges, follow up, and reporting. Offering an incentive is one way to drive productivity. Perhaps whoever has all of their notes done within 24 hours for a week gets a free lunch. Or, the front desk staff member with the best record of filing timely, accurate codes and billing information gets to choose a day to leave an hour early. Achieving efficient and accurate billing is something we all strive for; having an incentive to perform is the cherry on top that could improve the entire process. Consistent review of what is happening in your revenue cycle will make your ASC more efficient and more financially lucrative. At in2itive Business Solutions, we look at all the ways your business can maximize revenue to improve financials for strong performance. We want your team to get the most out of the billing system and clearing houses used daily to run an effective practice. We are here to help you learn more about how you can optimize A/R in revenue cycle management. For assistance with talking to patients, working with the administrative team, and billing correctly to eliminate lag time with payers, contact us today!